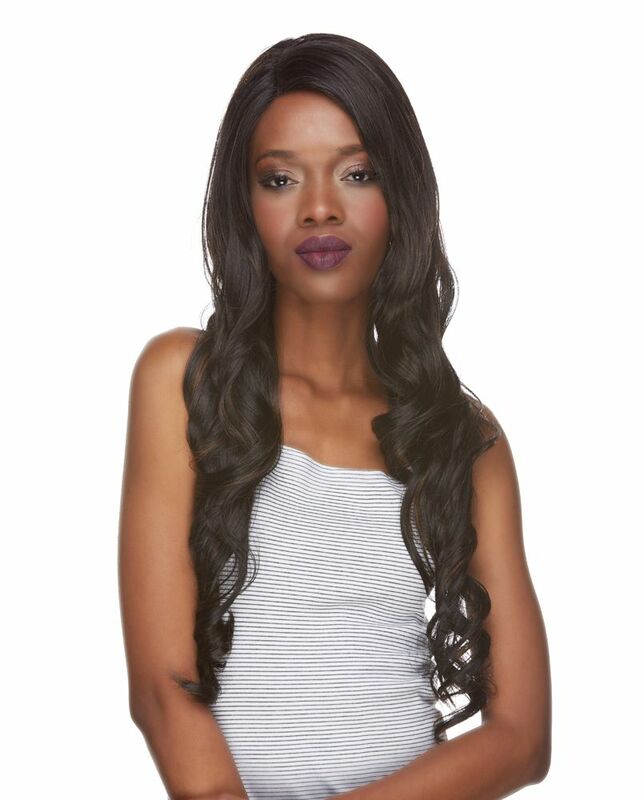 Long curled tips wig with realistic skin part. 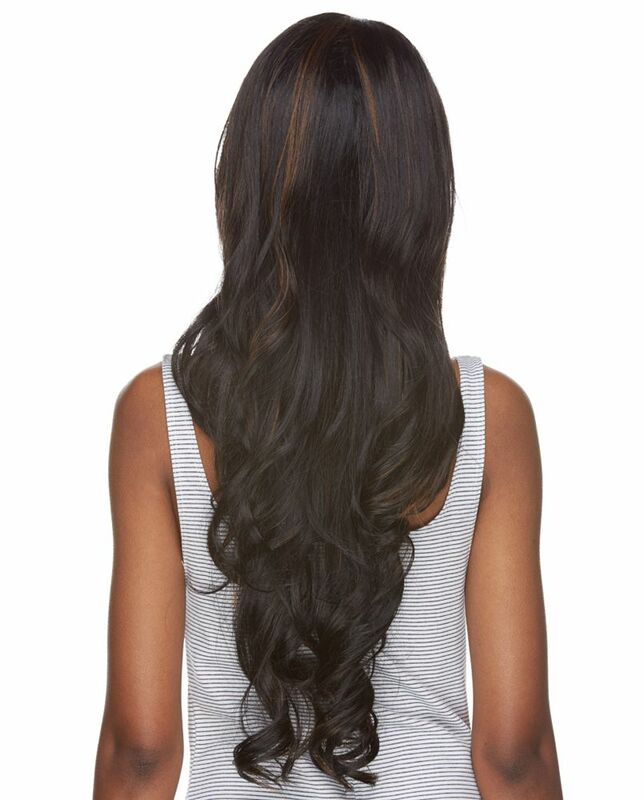 Lustrous strands in our silky, touchable synthetic fibers cascade down all the way to 26-28" length. 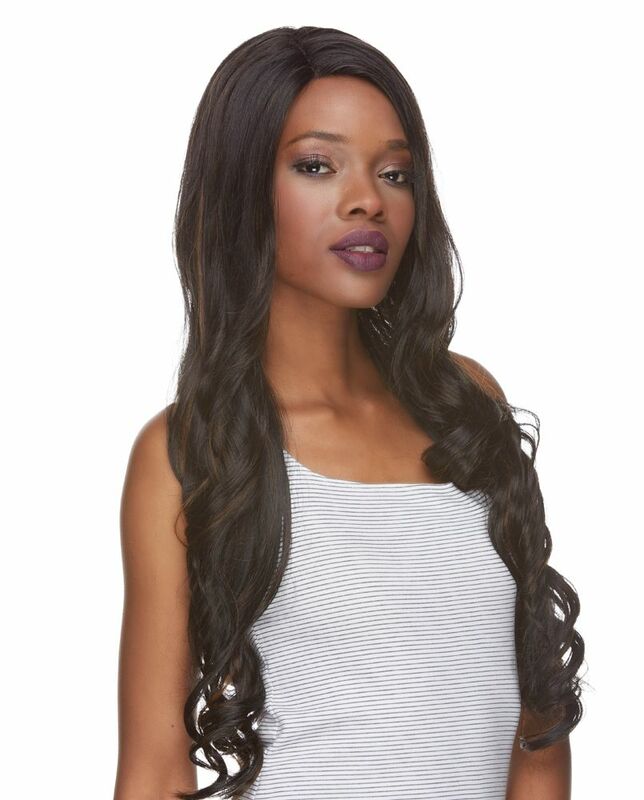 Premium quality adult size wig. 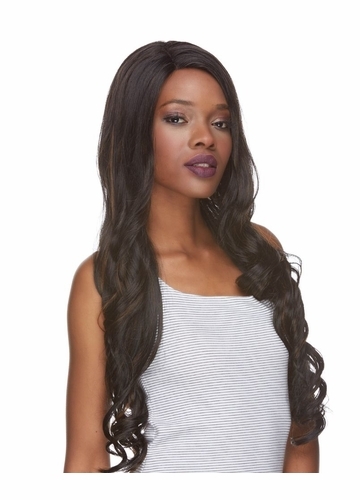 Model is wearing this wig in natural black/auburn blend(FS1B.30).